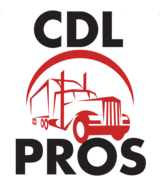 If you are looking to get a full hands on experience CDL Pros is the place. We recently added a full range carrier center designed to get our students back in the work force. We can help you get your resume up to date of even help you make one that is sure to catch your new employer’s eye. We work with our local businesses to get you the best fit possible. If you are looking for Over The Road (OTR) we would be more than happy to introduce you to a few of our recruiters that are nation wide company reps looking to help you get the job you want and the pay you need. Feel free to call us with any questions and as always, keep on truckin’!